Open Data Party has come and gone but the feedback we received from the event which took place in Kano in November 2016 live with us as an organisation. From the event, it was found out that our community champions need more community gathering which will be a follow the money immersive session. Also, we have been receiving requests such as, “how can we follow the money in our states” and we feel more need to reach out to more communities as they are our major focus. Finally, our zeal to train more community champions to follow the money in their respective states came to reality as we won the One Award in April 2017 and this to us, means more communities empowered and more community champions championing Follow the Money. We officially kickstarted our training in North East Nigeria as we Follow the Money to Maiduguri, Borno State which is the epicentre of the Boko Haram crisis in Nigeria. The decision to start our training in Maiduguri was borne out of passion for communities to follow the money meant for the rehabilitation of the displaced persons in the region as increase in the inflows of aid is made possible by the Oslo Humanitarian Conference of 2016 so that the funds won’t be mismanaged like the aid gotten in the past years in tune to more than $30bn. The North East mapping event, in partnership with Exit Lanes, took place on 17th and 18th of May in Maiduguri. It had a turnout of 138 participants from the six states in the North East region of the country (Borno, Taraba, Gombe, Adamawa, Yobe and Bauchi). In a post evaluation of the 2 -day training, 75% of the total respondents (32 number of them) said they are now aware of fund flows to their states, where to find the information and how to Follow the Money. CODEs co-founder, Oludotun Babayemi set the ball rolling on Day 1 by officially opening the training event, setting the event on a high tempo. He spoke extensively and intently about the dangers of not engaging government of which he painted an imaginary picture of what Borno state would be in 2030 if everyone seated in the room got involved. This tempo was however maintained all through the event. The training sequence had a back to back approach, with adequate time allotted for questions and answers, there was a break after every session for participants to stretch and also give them time to internalise the information received, as well as the ample time to rest before other sessions came up. Tea break availed participants various opportunities to bond and explore areas of strategic interest to them. Every session was practical, as various dialogue points came out of the questions asked, participants were taken through what Connected Development represents and how they could plug into the various models of the organisation in engaging and emancipating their communities, they were also made to engage in the process of identifying money to follow, hashtagging campaigns and connecting to our social media platforms, the right ways to take videos and pictures during community outreaches was also emphasised and done practically. In addition, the process of visualisation, tracking and advocacy, was emphasised. On day 2, participants were grouped into their various states (participants from Borno – the host state had 3 groups) to find potential campaigns they could follow in the coming weeks. It was great to know that 7 campaigns were highlighted at the end of the session, with participants showing high interest in following the money of projects already identified. We would not have visited Maiduguri without a community outreach to a rural community. This time we were in Fashir, where a 6 -year old abandoned health facility has been turned into a storehouse, and a shelter for animals. “At one time, we reached out to the contractor of this project, but he told us he could not finish the project because the state government has not provided adequate funding for the completion of the project”. After 1 hour of focus group discussions, the community mobilised themselves and were ready to engage the local government chairman and the state commissioner for health. 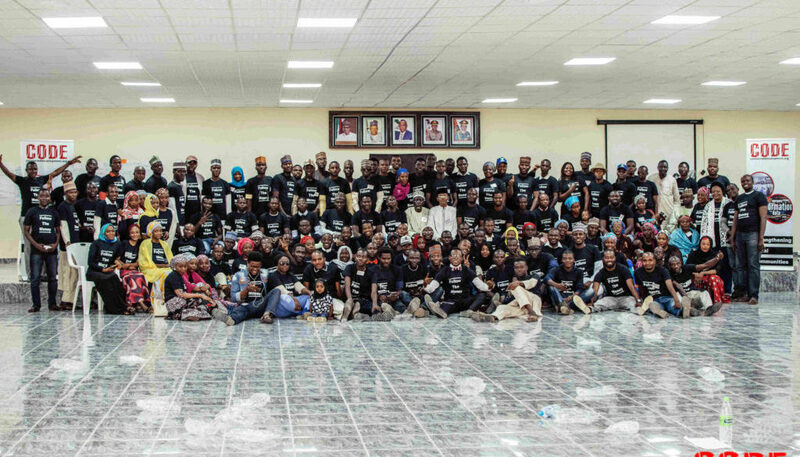 24 hours travel on road from Abuja, 138 participants, 2 days of great work, and 7 campaigns can be such an adventure for us at Connected Development, as we look forward to furthering outcomes from the campaigns identified. Moreover, the enthusiasm amongst participants to start their Follow the Money chapter was quite overwhelming, and something to look forward to in the coming months. Wondering when we will be in your state or region? Do join us at http://ifollowthemoney.org to be the first to know. Enabling Greater Transparency, Accountability and Participation in Nigeria	Challenges in The Nigerian Water Sector – If the Problem is not Lack of Comprehensive Regimes, then what is it?